The highly anticipated film of Ozwald Boateng’s life – “A MAN’S STORY” is set to be released in cinemas throughout West Africa (Nigeria / Ghana) on the 27th of July 2012, brought to screen by Okhma Global ltd.
A Man’s Story is an unprecedented and unique documentary that focuses on the dynamic force of energy, passion and colour of an A-list designer who continues to break boundaries. 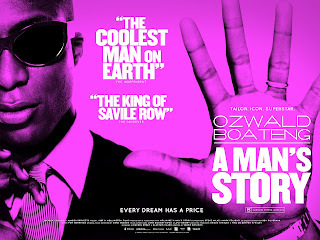 Tailor to Hollywood’s standard, the movie tells the intense story of a man with a dream and zeal. 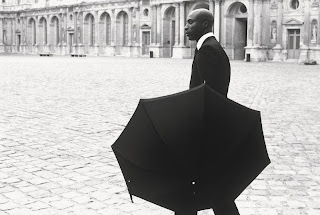 A superstar in his own right, Ozwald Boateng shares his singular dream to succeed, with humanity, depth and ambition rarely, if ever, documented in the fashion world. In this biopic, Ozwald takes us on a journey to a rarefied place and to the heart of what he has spent an entire career trying to distil – what is it to be a man? 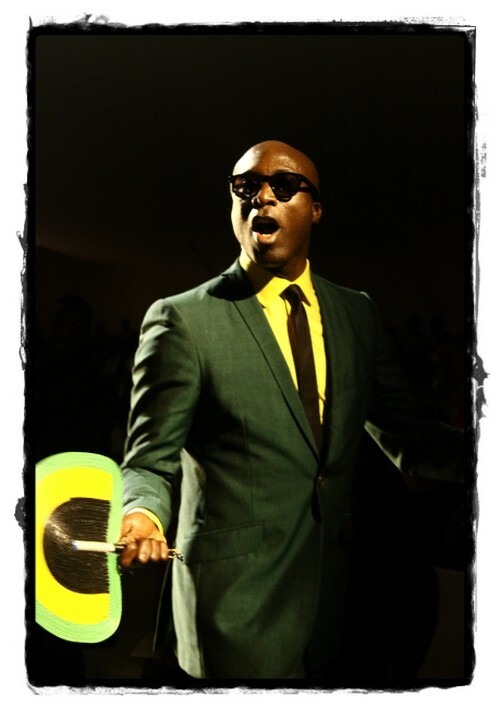 Instinctual, brilliant, awed and generous, Ozwald has made a huge brand that will live beyond his years. 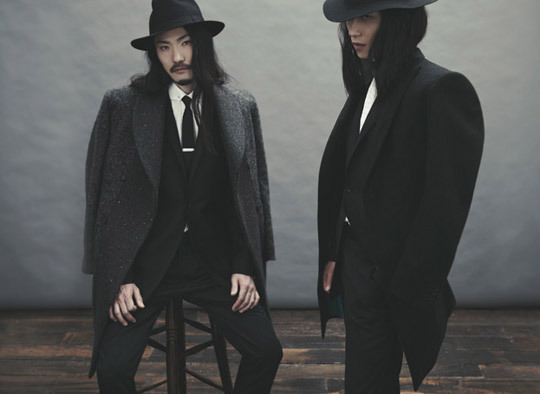 has extended his bespoke expertise to semi-bespoke, ready-to-wear, shoes, accessories and luggage: an unexpected and sophisticated journey through men’s lifestyle. True to his pioneer spirit, Ozwald Boateng consistently breaks new ground, combining fashion, design, art and architecture. “A Man’s Story” captures the dark moments of Boateng’s life and also beams into the future, and the success he has recorded as the first black designer to take over England. What inspired you to write a biopic of yourself ? It was filmed 12 years ago so it was not planned. It was suppose to be a documentary in Six (6) weeks but it became a movie. The intention is to inspire someone and there is always a perception to what success is. The Film is a journey of what to be man . The film is to inspire young people and also to let them belive in themselves. Did you Produce the Film? In the movie you had the 1990’s, 2000’s and also at that period, thieves broke in to your store and cleared all the designs you had at that period without leaving one material. Where those years your turning point in life? I’ve been designing since the 80’s so I had an experience of failure and at that period it became a turning point in my life. Aside Giorgio Aramani, who else inspired you? Every designer inspired me but Armani has an impact in the industry aside from his cut, he has a significance influence. I came into the business when I was 16/17 years old. I want to have a shop here in Lagos, Nigeria. Lagos is a right market for my business and I will be opening a shop soon. How do you feel being the First Black man in the Fashion world? It was not easy as you can imagine because I was brought up in London and you have choices. It was all about focus and believing in yourself. African designers have challenges, What advice do you give to an African Designer? It has to do with Timing. As you get more confident in yourself you will get better. The populaton is big here and the business is big too. Work out what your message is and create a good foundation so you can take it international. You cloth people like Will Smith, Lisbourne Fisherman, HRH Prince C , Richard Branson and many more. Do you have anything for the common man? My design is to inspire. The men I dress, I connect with them and from the response it has been great. What are your contributions to Young Fashion Designers? I’m passionate about Africa and the development. Nigeria as a whole is my big thing for Africa and it controls a lot. I’m in the promotion of Africa to the world so we can direct it right. Why a Film and not a Book? The Film evolved over the years and it happened by accident so I accepted it to be made. At the end, it is an inspirational film here and in the UK. Did you anticipate the kind of acceptance people gave you?